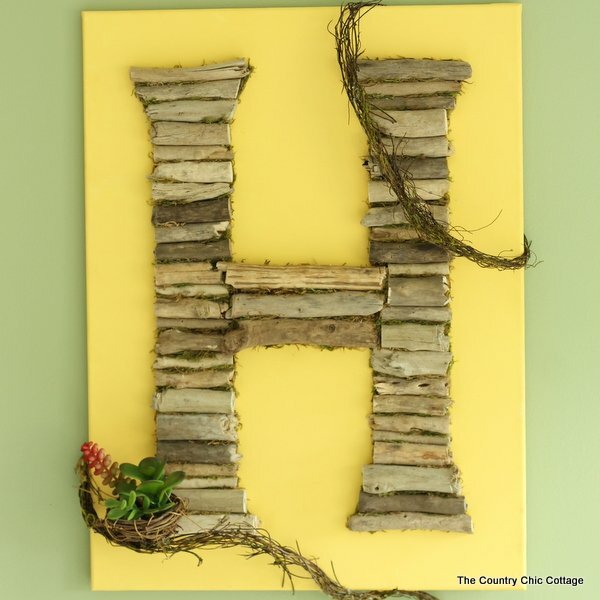 Y’all I am in love with this driftwood monogram art and am so excited to share it with you! 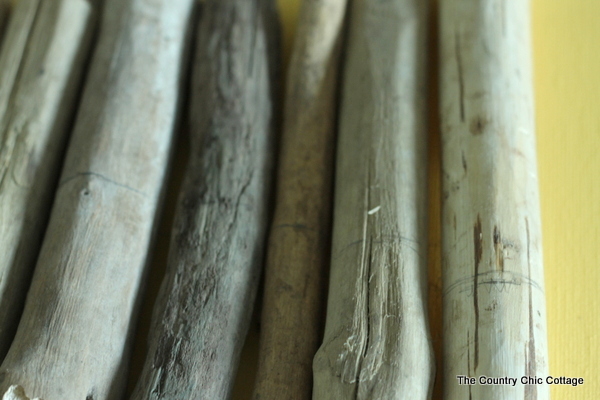 You can buy driftwood for this project or hunt it on your beach vacation this year. Either way this is sure to be one project that is the star of your home! 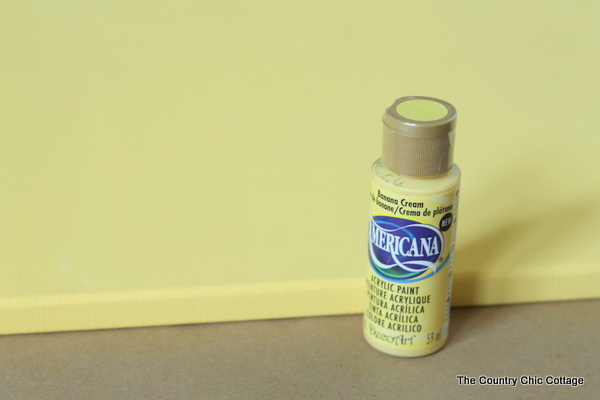 Start by painting the canvas with a few coats of the paint. Allow to dry completely between coats. 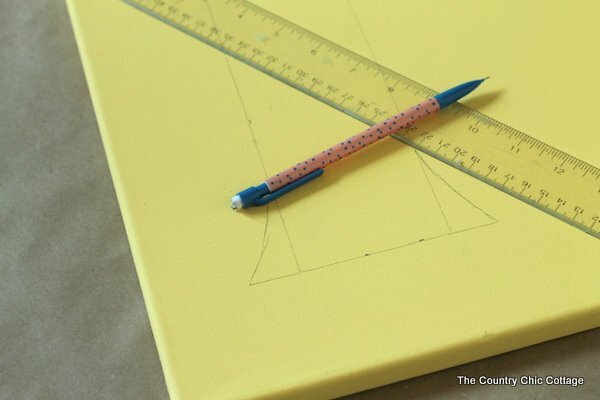 Use a ruler to draw on a huge monogram in the letter of your choice. I made mine flare slightly as shown below. 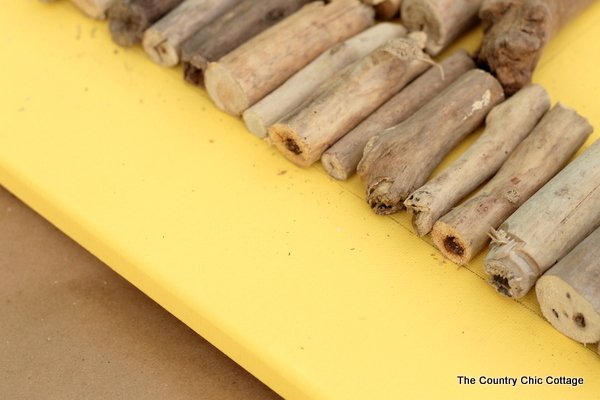 Start laying out the driftwood to see how it will fit together. It is sort of like a puzzle. We will be cutting off the pieces in another step. Right now just try to fit everything together with as little gap as possible. 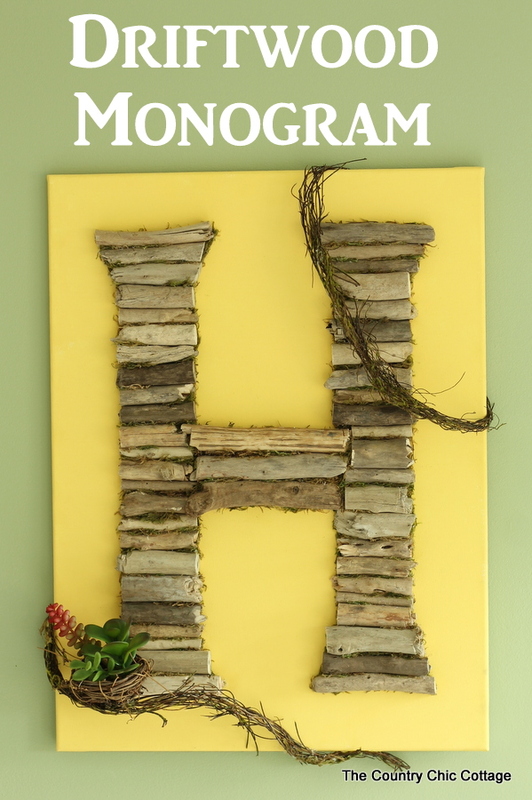 Draw a line on the drift wood pieces wherever the line on the canvas is for your monogram. 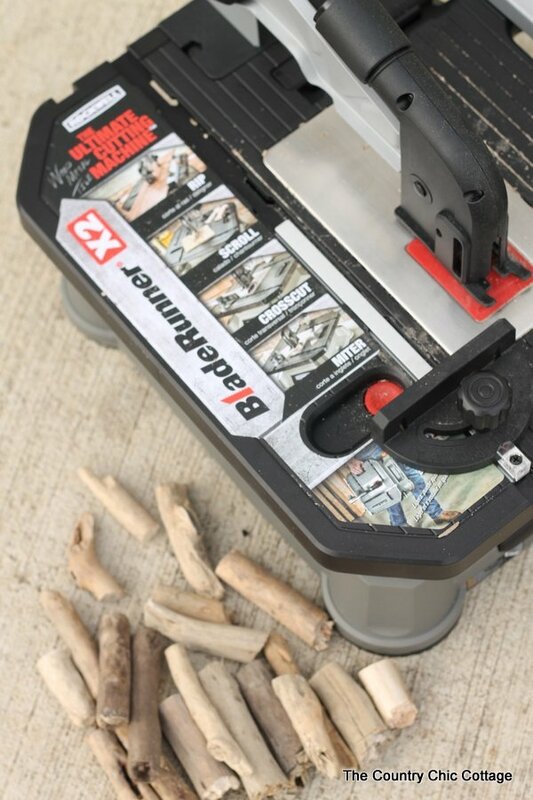 Use the Rockwell BladeRunner to trim the driftwood to size. Always follow all safety instructions when using power tools. 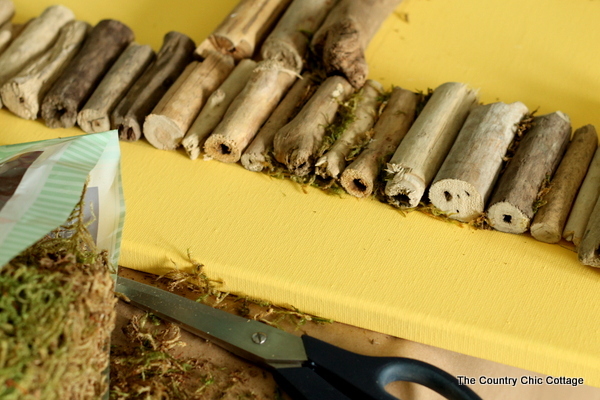 Arrange the pieces back onto the canvas as you cut them. I used industrial strength hot glue to adhere the pieces to the canvas. It worked great and dried super fast. Next use the moss to cover all the cracks and crevices in the wood. Make sure the lines are covered on your canvas as well. 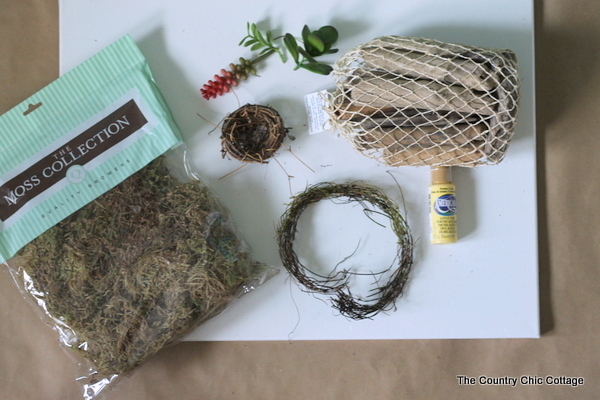 use hot glue to secure the moss into place. 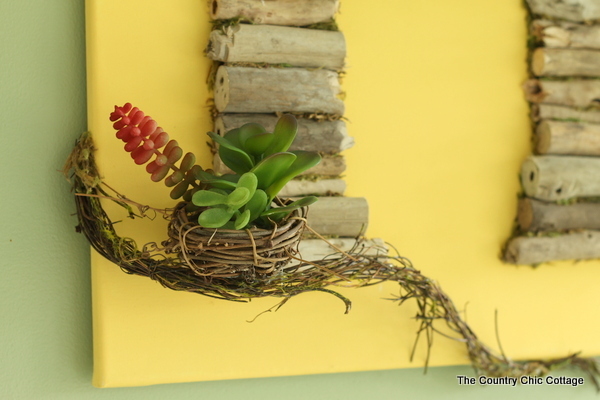 Add on the mossy vine, nest, and succulents all with hot glue as well. 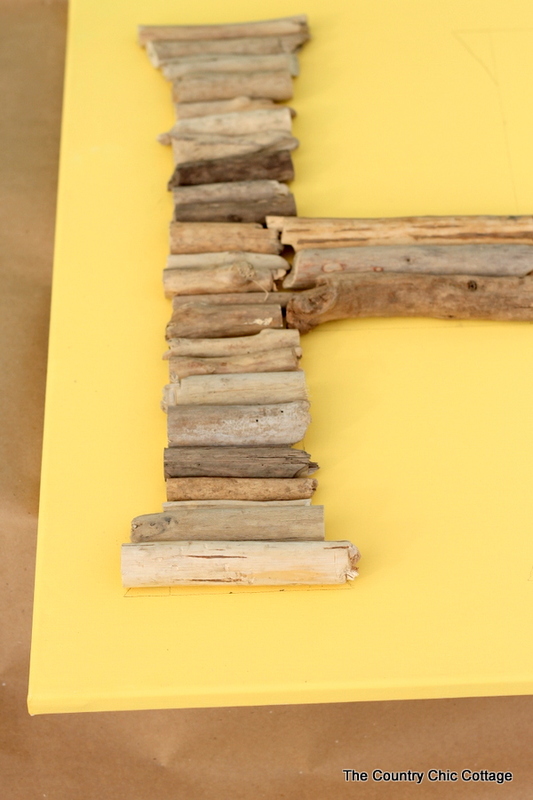 Your driftwood monogram is ready to hang in your home. I love this piece of art y’all. It is currently hanging in my bathroom and I love it! It is the perfect bright touch to any space. 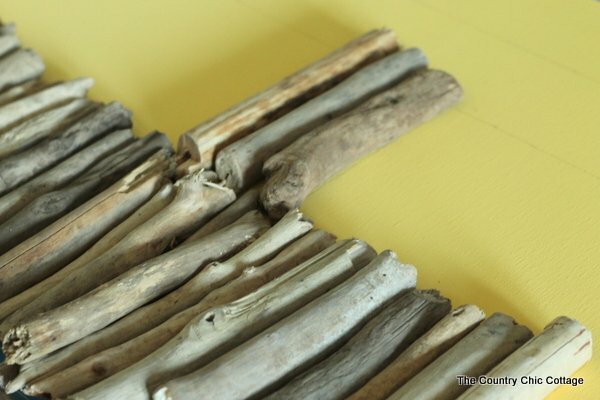 Want more driftwood projects? 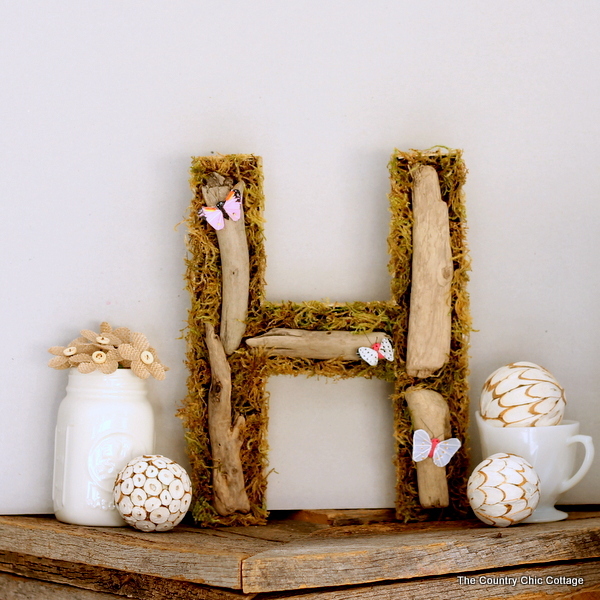 Be sure to click here to see the instructions for our woodland monogram.